SOLD in the desirable Royal Palm neighborhood 205 E Driffill Blvd Spc 26 Mobile Home for Sale in the beautiful coastal city of Oxnard, California. The property was listed for $80,000 and the seller received an offer of $85,000 CASH with $2,000 in concessions for repairs. Multiple offers were received. There is high demand for mobile homes in Oxnard. The mobile home Sold above the asking price at a final sales price of $85,000. The home was under contract right after our first Open House and received multiple offers. It took longer to get the park approval than it did to actually process the transaction in escrow. Fantastic job by Stewart Title escrow division handling the mobile homes transaction. 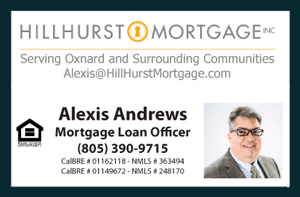 For my client’s and it's a wonderful one stop shop for Escrow and Title. The home featured 2 bedrooms 1 bathroom with approximately 800 square feet of living space on a spacious corner lot located in a quiet location of the park. The home was in fair condition in need of some updates and repairs but fully functional. All appliances included with warranty. Conveniently located next to the pool area. Centrally located in the heart of Oxnard. A must see to appreciate property. Family park with no age restrictions. We are very thankful to the Realty One Group for their efforts and their patients to get this deal closed as there are always tough challenges getting park approval and this case was no exception. In order to sell a mobile home you must have the blessing of the mobile home park Most park approval delays come from after a list of home repairs required by the park management.